Employment of speech-language pathologists is expected to grow by 23 percent from 2010 to 2020, faster than the average for all occupations. Increased awareness of speech and language disorders, such as stuttering, in younger children should also lead to a need for more speech-language pathologists who specialize in treating that age group. During high school, you should consider courses in biology, physics, social sciences, English, mathematics, public speaking, language, and psychology. On the undergraduate level, a strong arts and sciences focus is recommended, with course work in linguistics, phonetics, anatomy, psychology, human development, biology, physiology, mathematics, physical science, social/behavioral sciences, and semantics. A program of study in communication sciences and disorders is available at the undergraduate level. Applicants in speech-language pathology must earn a graduate degree, successfully complete the required clinical experiences, and pass a national examination. In some areas, such as college teaching, research, and private practice, a PhD degree is desirable. Speech pathologists, officially called speech-language pathologists and sometimes called speech therapists, work with people who have a variety of speech-related disorders. These disorders can include the inability to produce certain sounds, speech rhythm and fluency problems, and voice disorders. They also help people who want to modify accents or who have swallowing difficulties. 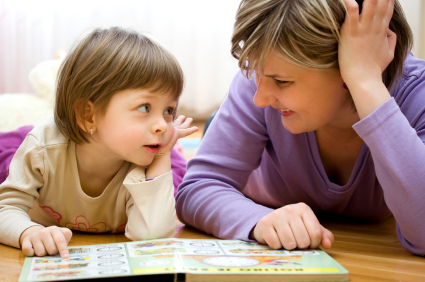 Speech pathologists’ work involves assessment, diagnosis, treatment and prevention of speech-related disorders. Speech pathologists held about 119,000 jobs in 2008. Approximately half of these jobs were in schools, including pre-schools and elementary and secondary schools. Other speech pathologists worked in hospitals, offices of other health practitioners, including speech-language pathologists, nursing care facilities, home health care services, individual and family services, outpatient care centers and child day care services. Some speech pathologists were self-employed. In most states one must have a master’s degree in speech-language pathology to work as a speech pathologist. Some states will only license speech pathologists who have graduated from a program that is accredited by the Council on Academic Accreditation in Audiology and Speech-Language Pathology. Coursework includes anatomy,physiology, the nature of disorders and the principles of acoustics. Graduate students receive supervised clinical training.